here are over 38,000 suicide deaths each year in the United States alone, and the numbers in other countries suggest that suicide is a major public health problem around the world. A suicide leaves behind more victims than just the individual, as family, friends, co-workers, and the community can be impacted in many different and unique ways following a suicide. And yet there are very few professional resources that provide the necessary background, research, and tools to effectively work with the survivors of a suicide. 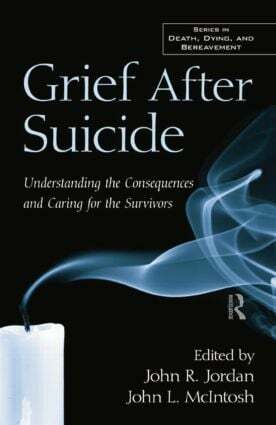 Suicide Bereavement: Why Study Survivors of Suicide Loss?